The owners of this property bought their home and were keen to renovate the rear, as it was in a bad state of dilapidation. 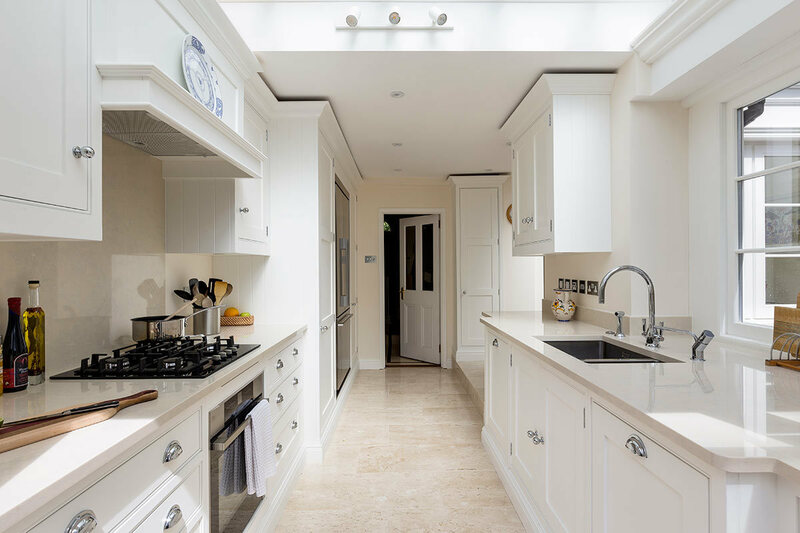 In order to turn it into the modern kitchen and diner they were looking for, it would require not only an extension, but a complete redesign of the space. However, as a listed property, there were a lot of planning hurdles to overcome, in order to make this happen. As a heavily protected building, any changes the owner wanted to make to their home had to be given the all clear by their local authority. So what would have been a simple project on any other home, now became a delicate balancing act between getting the owners the design they wanted, and complying with the law. 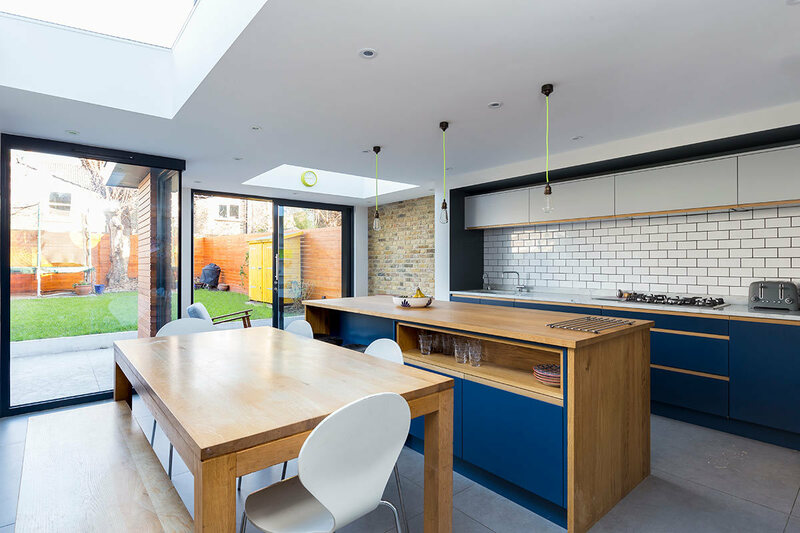 We decided the best way to expand this home was a side extension. As a period property, there was dead space located in the small alleyway between this property and the one next door. In traditional circumstances, this could have been achieved under the owner’s permitted development rights, however, due to the nature of the building, this had to go through planning instead. 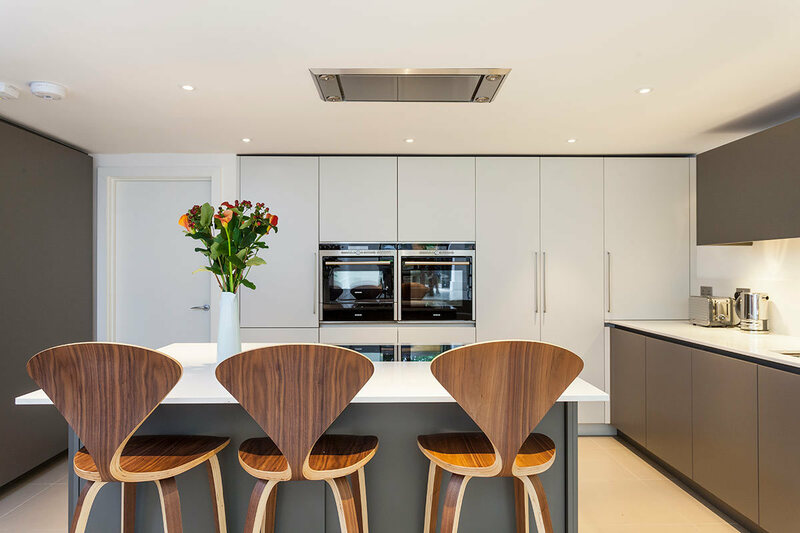 On top of this, we also renovated the existing space and redesigned the rest of the home’s layout. Creating an orangery style structure that still upheld the aesthetics and period features of the building. We partnered up with a local manufacturer to help us create fittings that could help complete the blend of modern and classic that the owners were after. 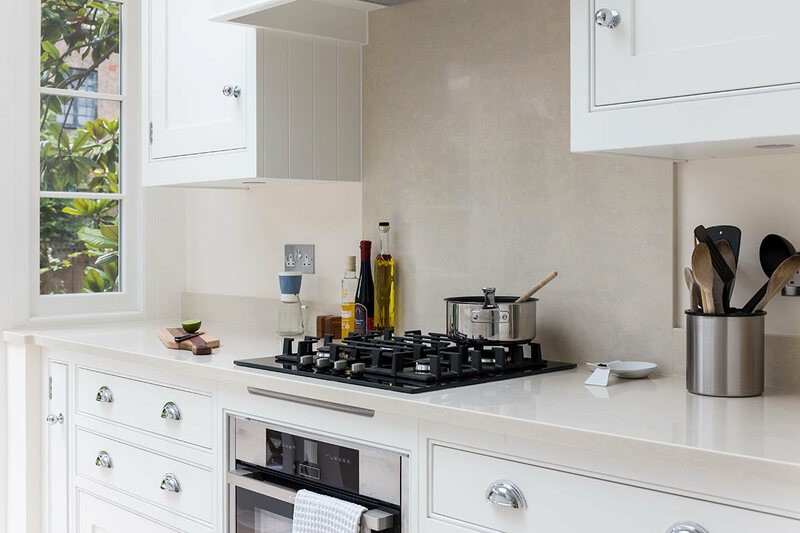 Together we designed a kitchen that utilised the space on offer, with traditional shaker style fittings, plus harmonious worktop and floor finishes. 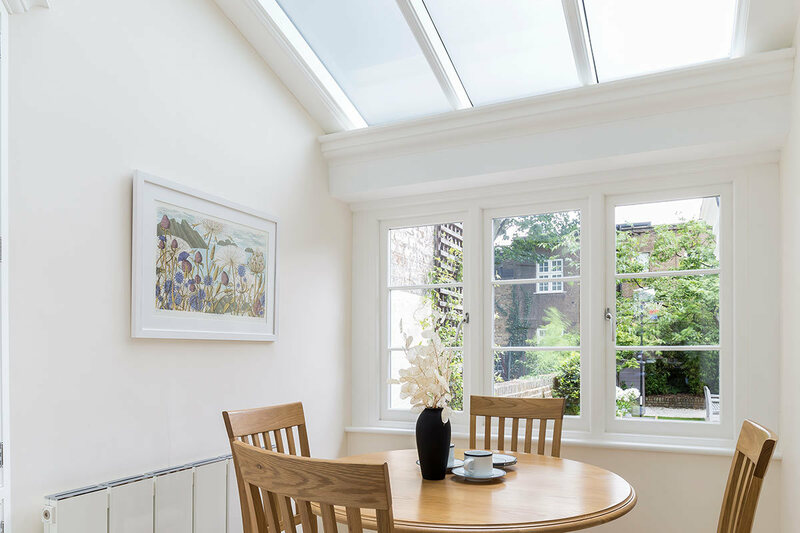 For the orangery, we married together the roof, doors, and timber frames so each could compliment the other, and help achieve a style that’s in keeping with the original building. But we did more than just work in some nice aesthetics. 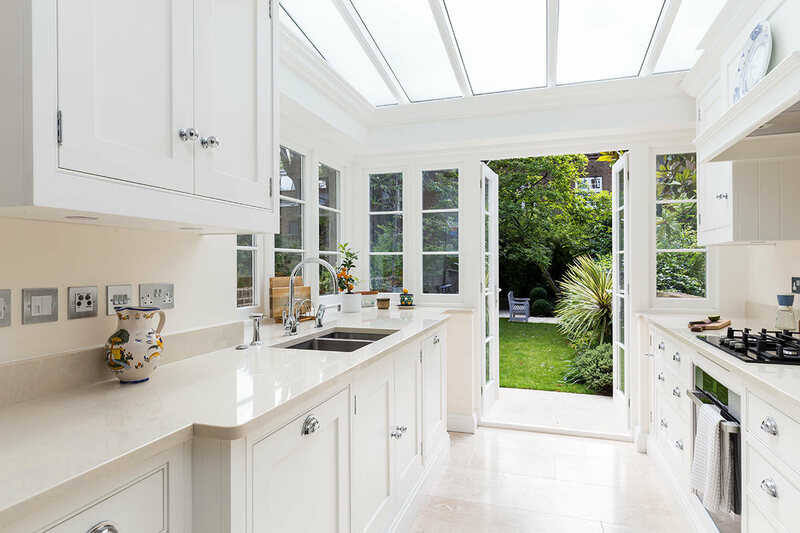 We increased opening sizes, and pushed roof space up, to create an open flow between the kitchen, garden, and dining area. Perfect for family meals together, or late nights entertaining friends. 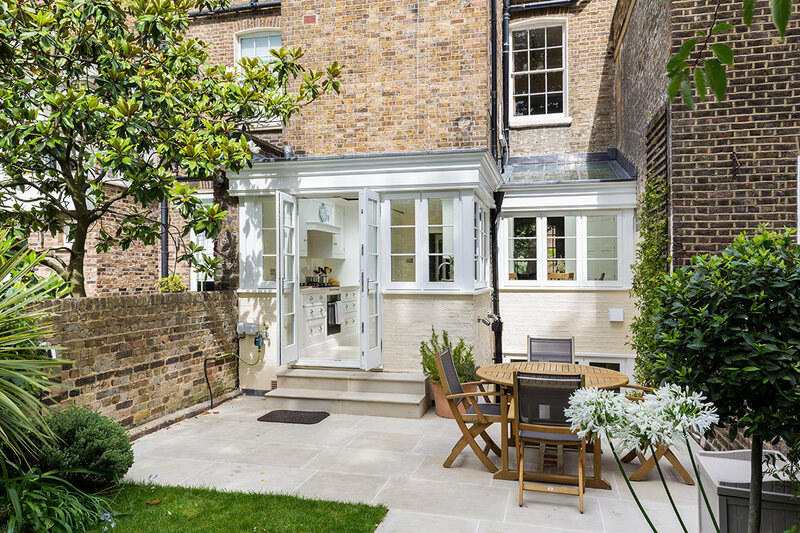 Though this modest extension didn’t generate any overshadowing issues for the neighbours, that’s not to say it went off hitch free. 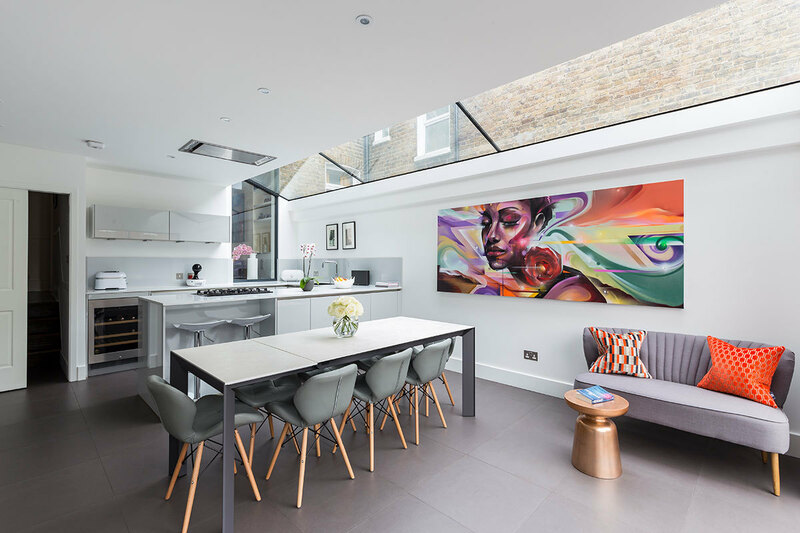 This build did encounter issues with it’s party wall, but luckily our team of experts were on hand to advise on this sensitive subject. Resi is able to assist with a number of potential admin headaches on any project, including: surveys, building regulations, budget, contractors - you name it, we can help. Either by providing these services in house, or introducing you to the best contractors and suppliers in your area. More than anything, this property is a testament to what can be achieved with a good expert in your corner.